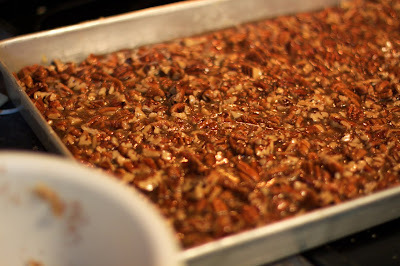 These Pecan Squares are one of our family's favorite treats that we make only for special occasions, probably because it calls for so many pecans. 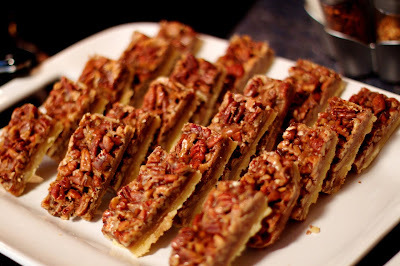 They are chewy, crunchy, and intense with flavor from the shortbread crust and honey-brown sugared pecan topping. The recipe makes a ton which is one of the many reasons I love them. 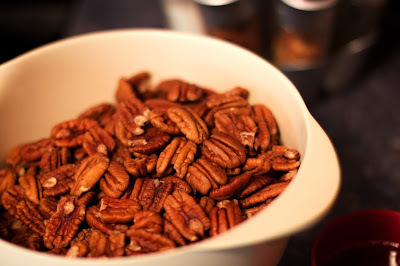 Count on using a full pan of these for multiple entertaining events you may have in a row. Or enjoy them as a family for a long week! 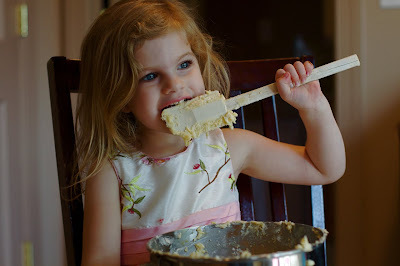 For the crust, beat the butter and granulated sugar in the bowl of an electric mixer fitted with a paddle attachment, until light, approximately 3 minutes. Add the eggs and the vanilla and mix well. Sift together the flour, baking powder, and salt. 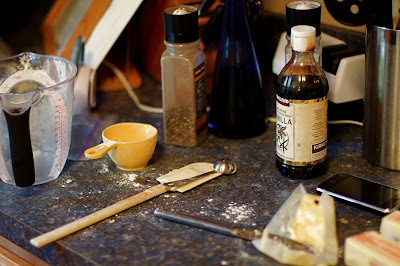 Mix the dry ingredients into the batter with the mixer on low speed until just combined. 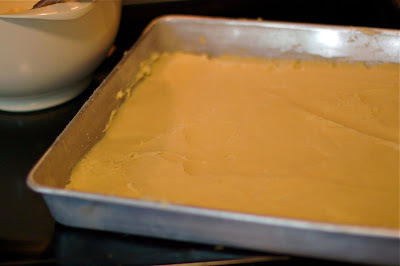 Press the dough evenly into an ungreased 18 by 12 by 1-inch baking sheet, making an edge around the outside. 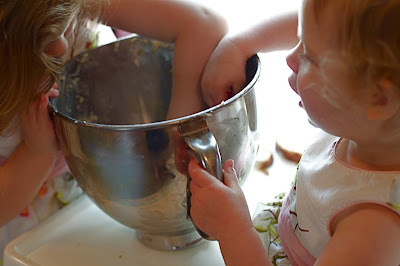 It will be very sticky; sprinkle the dough and your hands lightly with flour. Bake for 15 minutes, until the crust is set but not browned. Allow to cool.